So Many Stamps So Little Time: It's The Season To Be Happy! 1.) 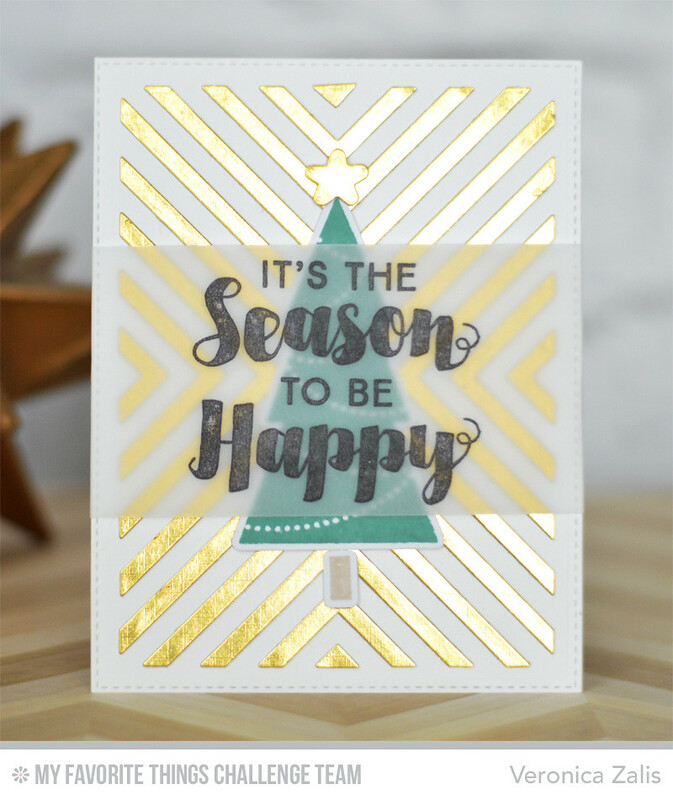 I die-cut gold card stock using the Four-Way Chevron cover-up. 2.) I carefully added adhesive to all the individual strips carefully avoiding the outline of the die. 3.) I adhered the die-cut stencil to my card stock and let it dry. 4.) I then carefully removed the frame and only the inner die-cut pieces remained. I love that this cover-up can be used twice each time you die-cut a sheet of card stock! I'm happy you stopped by and I hope you have a crafty/happy weekend!